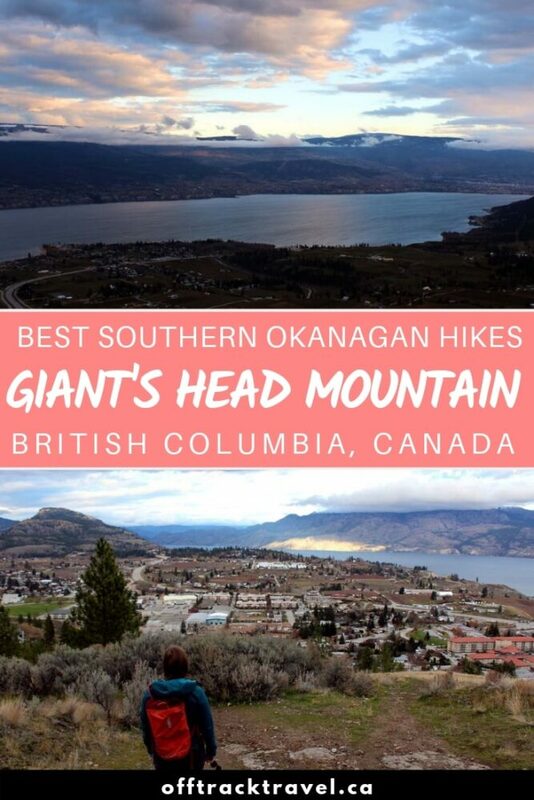 Giant’s Head Mountain provides one of our favourite quick hikes (3.2km return) in the southern Okanagan region of British Columbia, Canada. 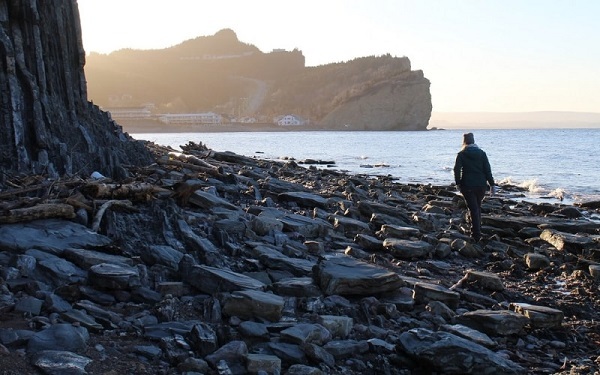 When approaching from the southeast, this 850m extinct volcano does indeed look like the profile of a very large man looming over the nearby town of Summerland. 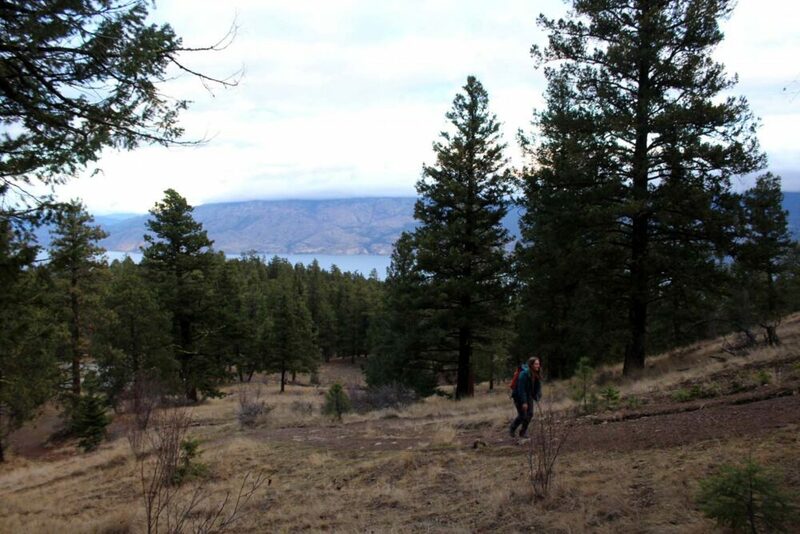 The Giant’s Head hike offers expansive views of the local area as well as Naramata, Penticton and the mountains beyond, no matter what time of day or season you visit. Late autumn turned out to be a great time for a hike to the summit. 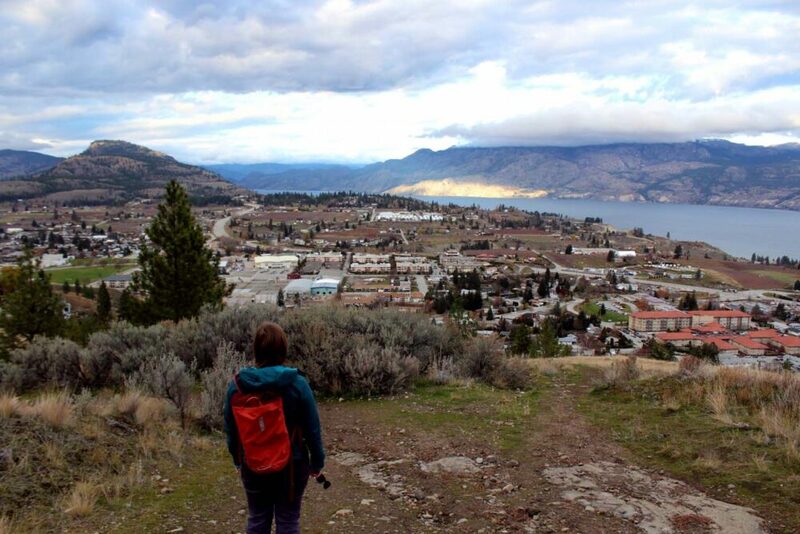 Read on for our experience plus all the details you need to hike Giant’s Head Mountain in Summerland yourself. This post includes affiliate links. 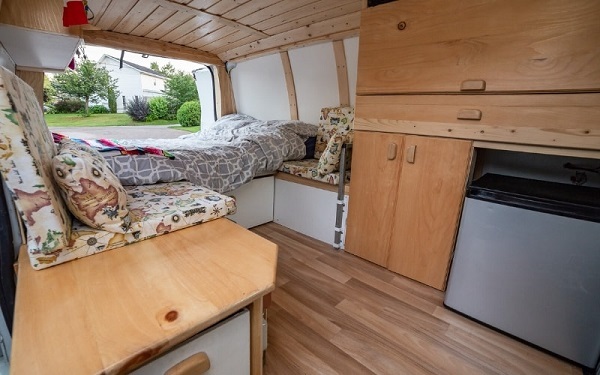 If you make a qualifying purchase through one of these links, I may receive a small percentage at no extra cost to you. 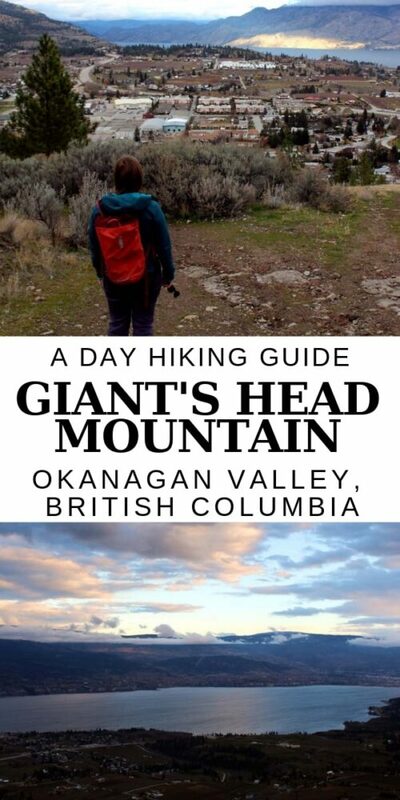 The Giant’s Head Mountain hike is a fairly straightforward 1.6km ascent to the top with some steeper sections near the end. The trail mostly follows the eastern side of the mountain. Soon after starting it is possible to see other, much bigger, mountain summits in this direction. 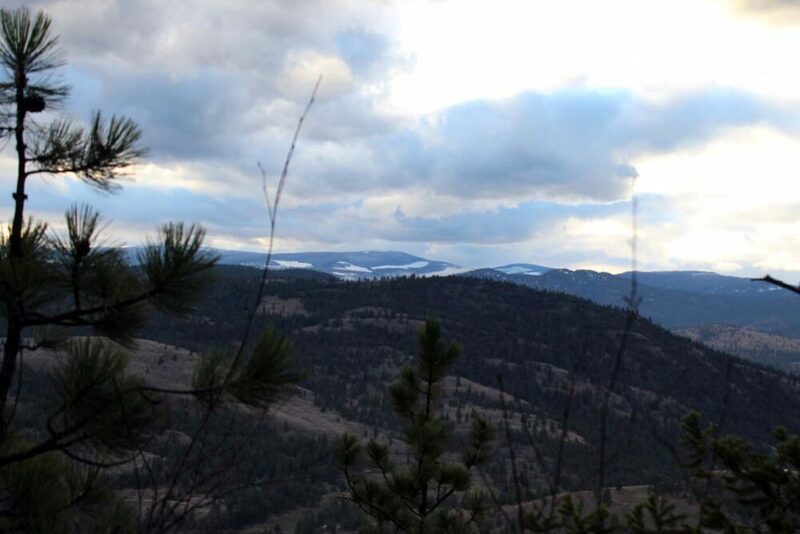 Our last visit to Giant’s Head in Summerland was during a late November afternoon and we spotted plenty of snow in the distant hills. Winter was definitely on its way. Another view this aspect offers is the chance to see the more agricultural and industrial areas of Summerland that are hidden from the highway. Not necessarily the prettiest of areas, but it is interesting to see the full picture of Summerland. 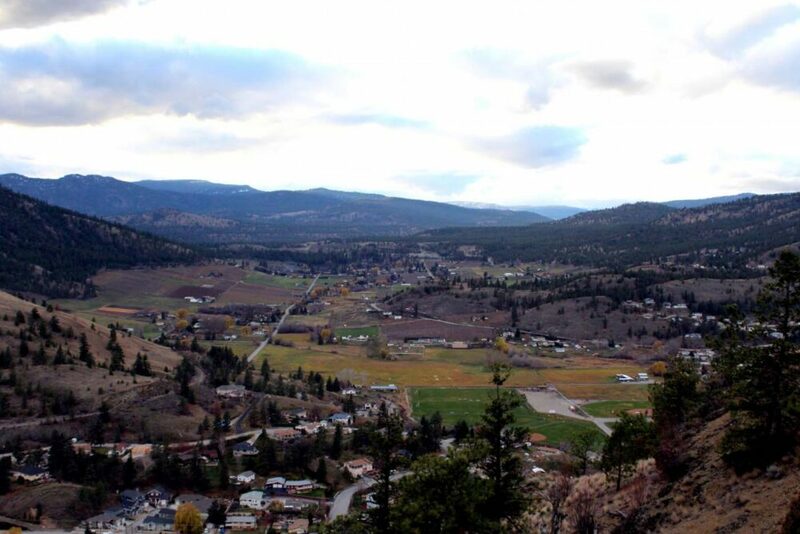 It is possible to make out the route of the Kettle Valley Railway quite easily from this height too. There is a small section of the heritage railway still running near Summerland; trains run during the summer and on select weekends. A small parking lot signifies that the top of Giant’s Head isn’t too far away. 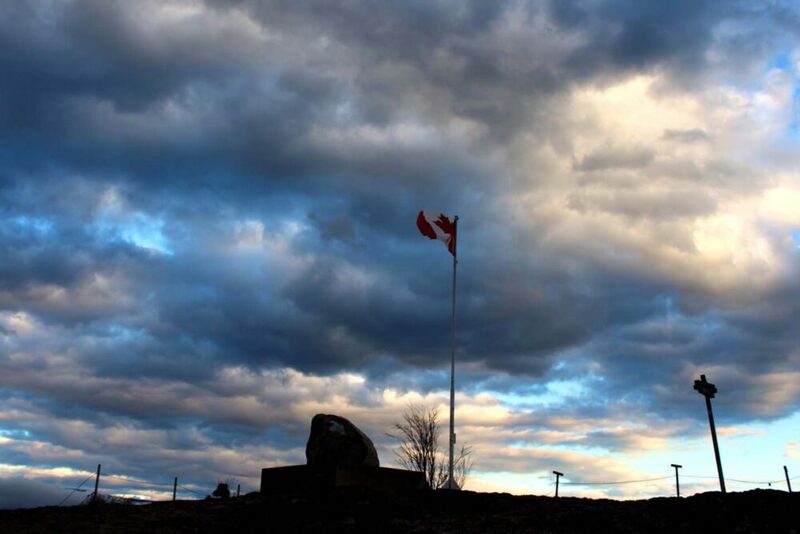 The path becomes steep for a short time and soon you can spot a Canadian flag waving in the wind. A large boulder mounted on concrete greets hikers to the summit. 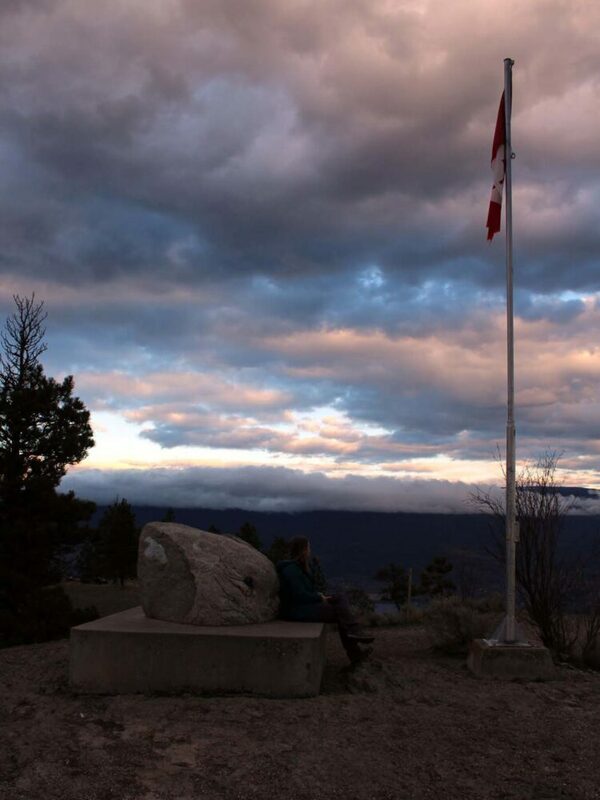 Not only a great place to sit and admire the views, there is a time capsule buried underneath the boulder. 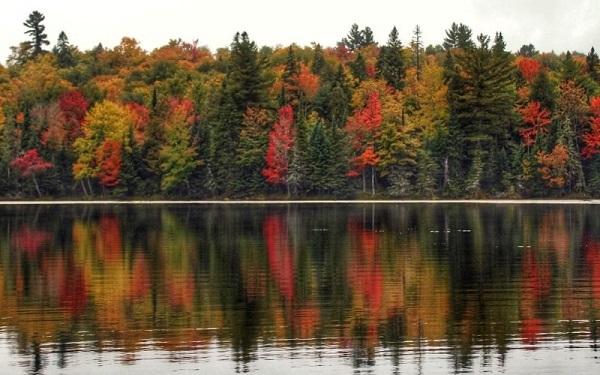 Placed at the summit for Canada’s 100th birthday in 1967 (Giant’s Head Park was created the same year), it will be opened after another hundred years. The metal fencing at the Giant’s Head summit is a little precarious these days, but there are viewing tubes every few metres to point out local landmarks (just don’t stand too close!) 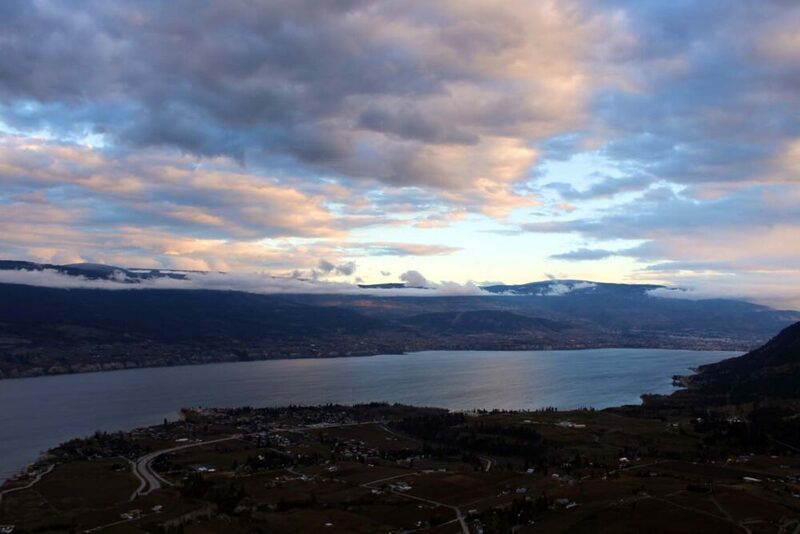 No matter which way you look there is something special to see, whether it is Summerland’s suburbia, the patchwork of vineyards across the water on Naramata Bench or magnificent Okanagan Lake itself. Our round trip hike to Giant’s Head in Summerland was a quick hour and quarter in length, mostly because we were running out of light. 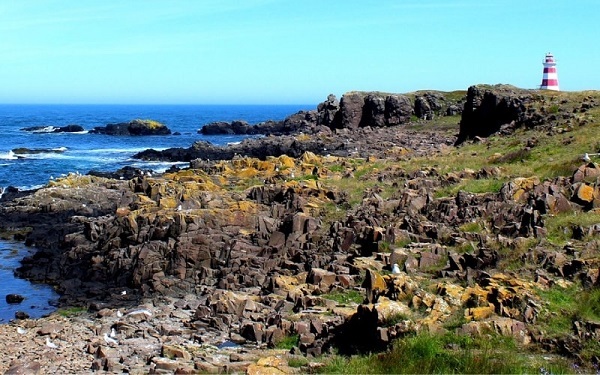 I’d allow two hours for some more relaxed enjoyment of the views at the top. They’re worth the hike! 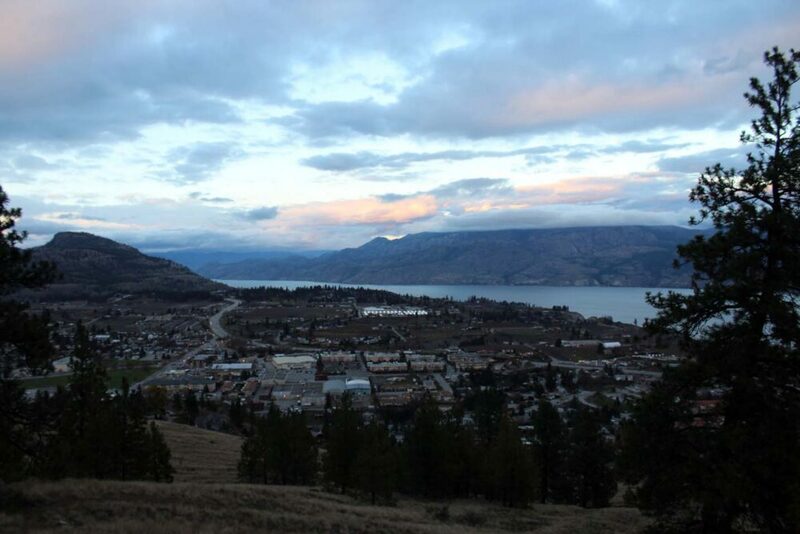 Giant’s Head Mountain is easily and quickly accessible via Highway 97. Turn off at the Prairie Valley intersection (the one with Tim Hortons) in Summerland, make a left soon after on Atkinson, another left on Giant’s Head Road and then finally a right on Milne Rd. The parking lot for the hike is found after 500m on the left. Parking is free. 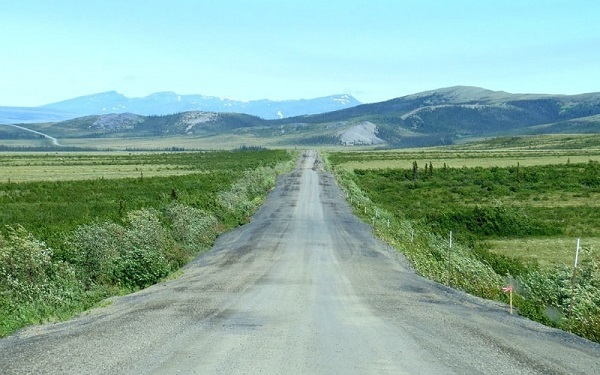 There is a narrow paved road to the summit open in summer. 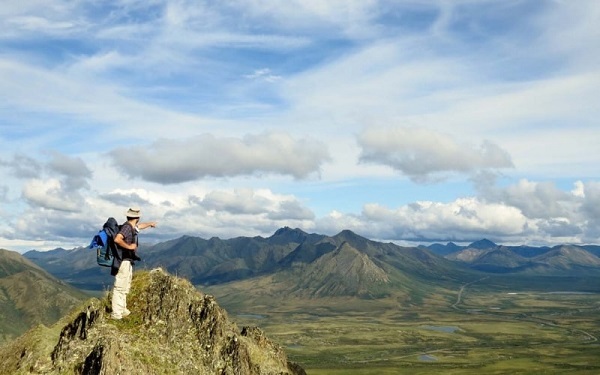 For this reason, hikers can either walk on the road or follow the worn trails. The latter offer a shortcut around several long switchbacks. A number of benches can be found on the way to the top if you need a break. 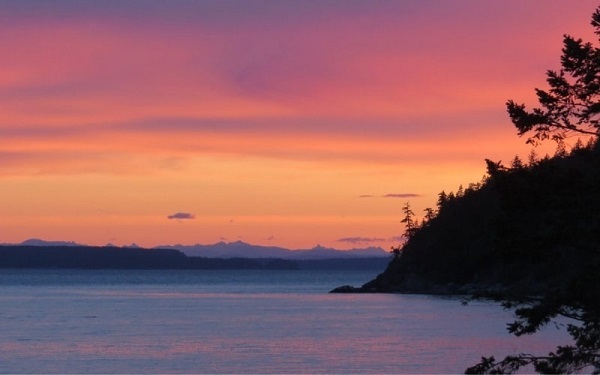 Looking to book a stay in Summerland?